What is something YOU would like to do before heading into high school? Maybe try something from Nickelodeon’s incredible, hit TV show, “100 Things To Do Before High School”! The cast of “100 Things To Do Before High School” always does such a remarkable job creating such outstanding and marvelous episodes we all love watching! As soon as “100 Things To Do Before High School” made its big premiere on the amazing Nickelodeon, the show became an instant hit and we all could totally see why! With an all-star cast and a sensational and entertaining storyline – what’s not to love about “100 Things To Do Before High School”? The amazing show captures the essence of life before high school and takes viewers on a journey as CJ, Crispo and Fenwick go through many adventures together and strengthen their friendship while doing so! “100 Things To Do Before High School” is one extraordinary show – so what is YOUR favorite episode? I, Alexisjoyvipaccess had the utmost and greatest honor of covering the renowned and prestigious Nickelodeon Kids’ Choice Sports and had the great pleasure of interviewing the phenomenal cast of “100 Things To Do Before High School” – the amazing Owen Joyner, Jaheem Toombs and Jack De Sena. The “100 Things To Do Before High School” cast spills on what their favorite episode is that they have filmed for the show, who they would like to slime at the event and so much more only in our VIPAccessEXCLUSIVE interview! The wonderful Owen Joyner, Jaheem Toombs and Jack De Sena even send out a special message to all their fans only in our VIPAccessEXCLUSIVE interview below! Thanks for the fabulous interview, Owen, Jaheem and Jack! Check out my VIPAccessEXCLUSIVE interview with the terrific Owen Joyner, Jaheem Toombs and Jack De Sena at the Nickelodeon Kids’ Choice Sports below! The Nickelodeon Kids’ Choice Sports was another one of Nickelodeon’s masterpieces of events. The Nickelodeon Kids’ Choice Sports brought together your favorite sports stars, Nickelodeon stars and a whole lot of slime together under one roof and let’s just say, history was truly made that day! Head on over to: http://www.nick.com/kids-choice-sports/ to catch up on all things Nickelodeon Kids’ Choice Sports! 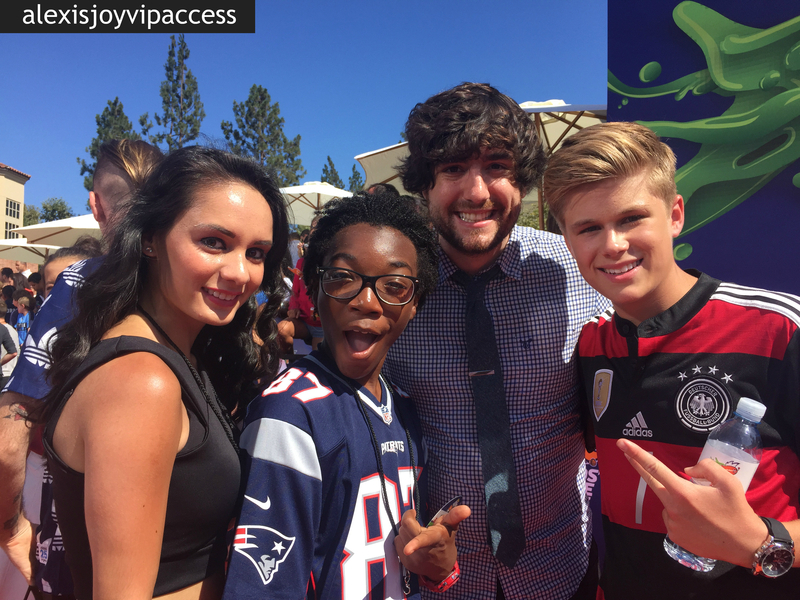 Previous VIPAccessEXCLUSIVE: Chazz Nittolo Updated Interview With Alexisjoyvipaccess At The Nickelodeon Kids’ Choice Sports! Next VIPAccessEXCLUSIVE: Isabela Moner Interview With Alexisjoyvipaccess At The Nickelodeon Kids’ Choice Sports!